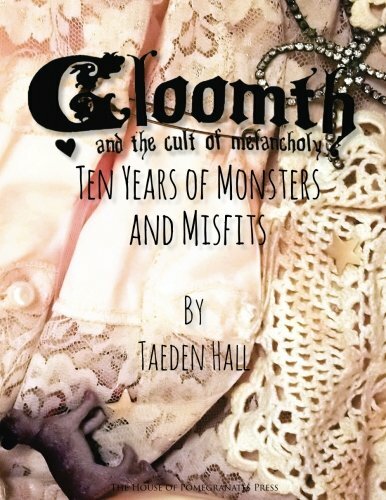 In celebration of Gloomth’s 10th Anniversary we wrote a book! Inside are dazzling, full color pages in collage-style layouts created by Gloomth designer Taeden Hall. A story about how we started and all the personal highs and lows behind building a clothing label from scratch! Contribution and artwork from Gloomth Girl models, friends, and more!!!!!! Order your copy on Amazon today!!!!!!!!!!!!! !